1) From now until you audition, practice, practice, practice. Practice it all. Practice your solo piece, scales, sight reading. Do it all. Leave your audition knowing you played to your highest ability. 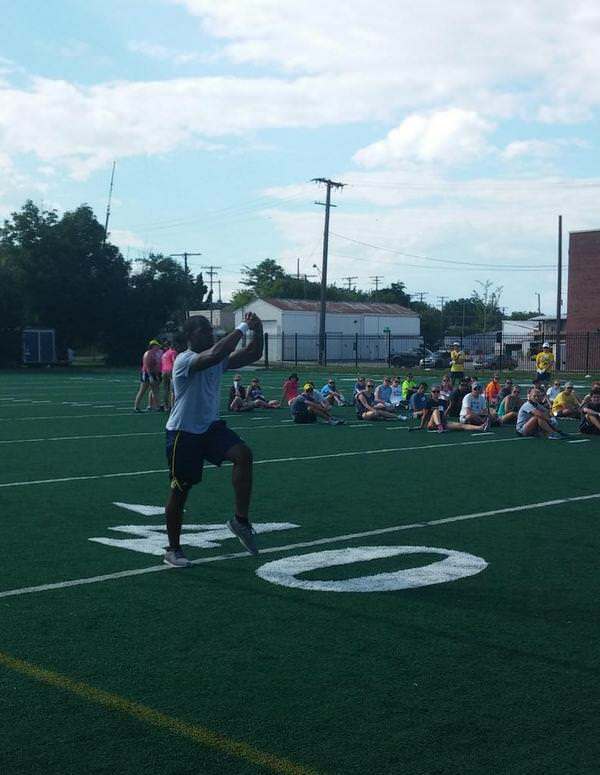 Here's a little secret, band directors can teach you how to march. What they can't do is get you to a proficient playing level in two days. If you've put the work in and can play the snot out of your instrument then you're 75% of the way there. 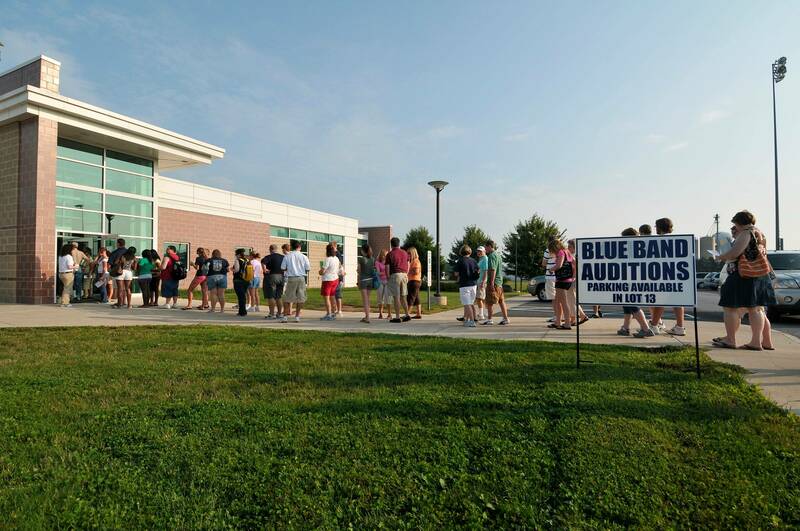 2) Don’t blow out your chops the day before or during warm-ups before your audition. Seen it too many times, kid comes in to audition, warms up two hours before his audition because he is nervous. Ends up playing his piece 25 times and tries to show off around other prospective members and ends up blowing out his lip. A solid warm-up should be all you need. 3) RELAX! This is marching band not the Olympics. That is until marching band becomes an Olympic sport of course. Soak in the moment. You're officially in college. That's pretty freaking awesome in itself. 4) Go into your audition with a positive attitude. The directors are not there to intimidate you. They just want to hear you play and meet you. Be yourself, but also be respectful to them and their time. Don’t come in without your valves oiled or realize then that you have a broken reed. The same goes with section leaders and returning members. You're going to be part of their family, don't be a jerk or a show off. 5) Meet your fellow prospective members. These guys and girls will probably be the first people you meet in college. They will become your best friends and who knows, you may even marry one of them in the future! Frightening we know, but it happens...a lot. 6) Did you march DCI this summer? Awesome! This is not DCI. Most college bands are completely different from a drum and bugle corps and if you treat it like one you could be incredibly disappointed. If your college band marches DCI style then you should have an advantage. If not, focus on what they tell you to do as their style could be very different than what you’re used to. 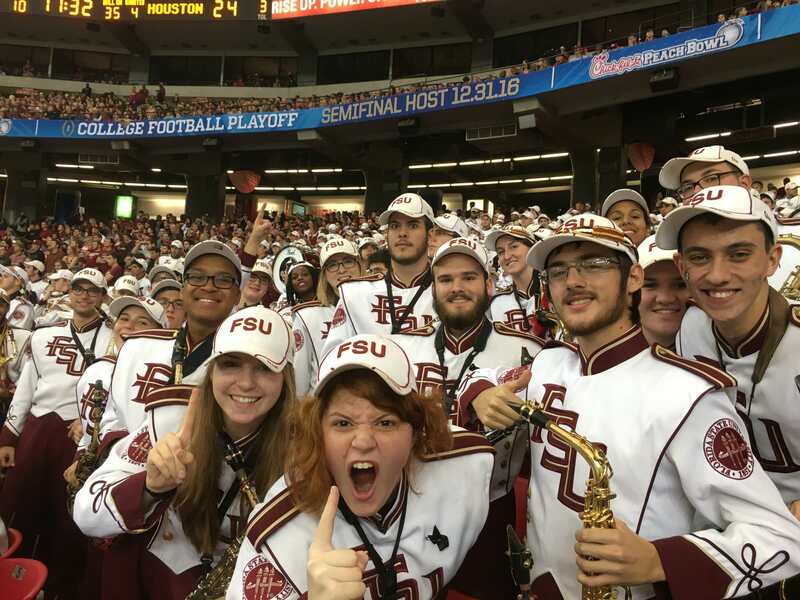 Most DCI performers who march in college enjoy the change of pace and find college band to be just as rewarding, but in a different way. 7) Were you first chair in high school? Awesome! This is not high school. You’ll be playing with instrumentalists who have been studying their instrument every day all day long for the past 3 years and they are incredibly talented. Don’t sulk if you’re given the 3rd part when you think you should be playing 1st. You’ll get your shot. Learn your music. Bands need power players on all parts to have proper balance. 8) HYDRATE! EAT! The last thing you want is to blow away the band in your playing audition and then pass out on the field during your marching audition because you are dehydrated or hungry. You know from high school band camps that it can be brutal so pack enough water to last all day and enough sun block for at least a month. Hats are good too. Two pairs of shoes also are handy in case rain hits. 9) Go to sleep! If your audition period spans 2 or 3 days and it’s the first time you’re living alone then you need to stay in. Don’t go out with other students and party or explore the town. Go home after a long day, shower, stretch and get a good night sleep so you are fresh for the next day. There will be plenty of chances to explore town, campus, the fraternities, etc. over the next 4 years. 10) Give it everything you got! This is your moment that you have been waiting for your whole life. It might be your childhood dream for you to be in the band in college and now it’s right in front of you. Go for it. Put in 110% and make that band. Your time in college will fly by and the memories and friends you make in band will stay with you forever. And remember if you didn't make the band this year, try again next year. Do basketball band. Keep at it. You'll get another shot. Take it.